This week we will be opening our campaign headquarters at 357 Union Street in Franklin. The space will serve as a meeting place for campaign activities and a location for residents to learn more about our candidacy. This space will serve as a hub for our campaign. 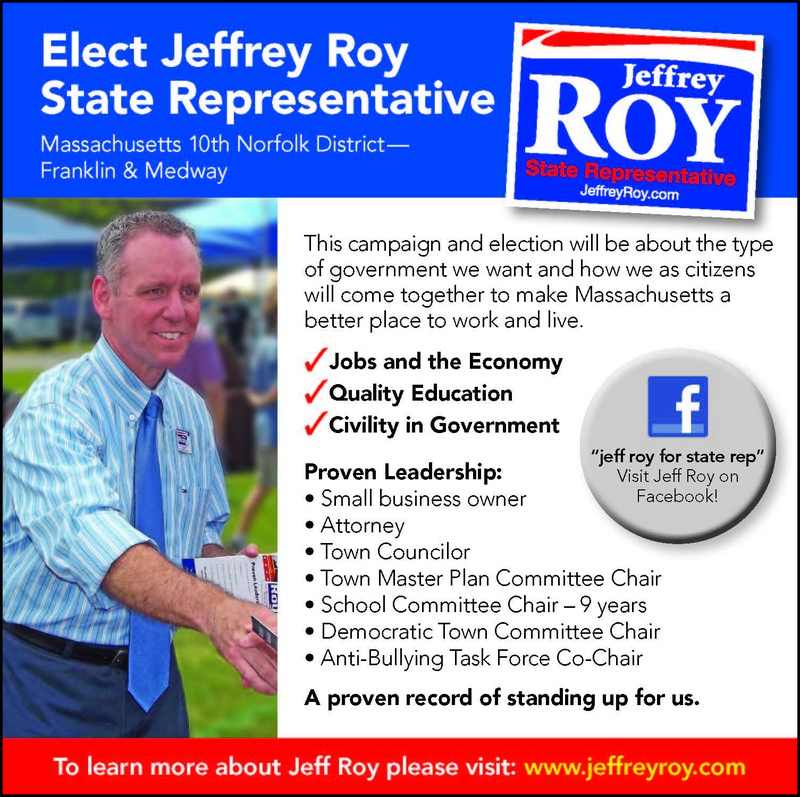 We have launched our website, distributed literature, and gone door-to-door for several weeks throughout the district to reach out to the residents of Franklin and Medway. Having an office will supplement these efforts, and we hope that people will stop in to chat about the race and get engaged with our campaign. A grand opening for the campaign headquarters is scheduled for later in July. In addition to the office opening, we ran our first print media ad in the July issue of the Franklin News (see picture attached to this article). Getting the word out on our campaign in multiple mediums is important for success. This campaign and election will be about the type of government we want and how we as citizens will work together to make Massachusetts a better place to work and live. If elected, I will be a fierce advocate for Franklin and Medway. My 14 years of service to Franklin demonstrates my commitment to the task at hand and provides a primer on how I will perform as a legislator.